After an extensive search for a HD recorder system replacement, Rigshospitalet’s neurosurgery department decided on the 4K MedXChange Recording System. Its medical camera of choice to go along with it was Panasonic 4K micro camera GP-UH532. The 4K camera system convinced by its ultra-high resolution and small size. The 4K resolution was the key point to my decision to propose the GP-UH532 micro camera system to the customer. Finding a 4K recording system replacement to the existing HD recorder and a reliable 4K camera system to go along with it. In addition to the 4K MedXChange Recording System, Rigshospitalet has chosen the Panasonic IMV GP-UH532 micro camera due to its easy adaptation and the variety of features. Dominating the skyline of central Copenhagen, the 16 storey Rigshospitalet is one of the tallest structures of the city. Home to some of the country's leading doctors and surgeons, this is where unique medical treatments are offered not only to the citizens of Denmark but also to the wider international community. With 1,120 beds, approximately 65,000 inpatients and 420,000 outpatients per year as well as 8,000 employees Rigshospitalet is one of the biggest hospitals in Denmark. It offers some of the most specialised treatments in Copenhagen. 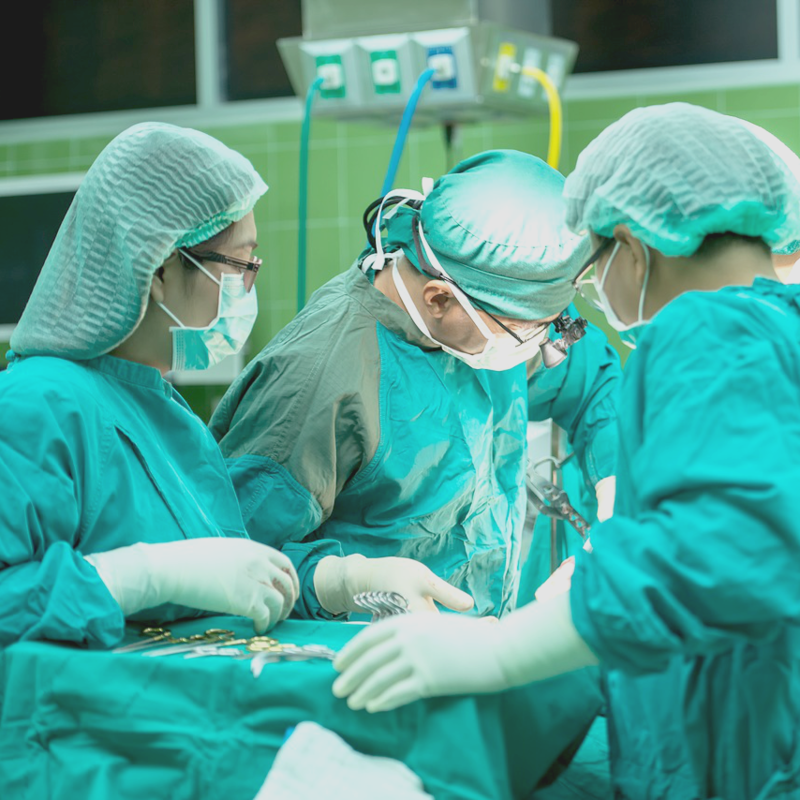 With over 40 departments, it serves as a host institution, to which other hospitals often refer their patients whenever a more complex and sophisticated procedure is needed. Its department of neurosurgery is one of the largest in Europe, covering a wide range of operations from brain to peripheral nerve surgery. Patients with all kinds of neurosurgical diseases are treated within this department. Hence, the hospital requires high quality technology in order to be able to provide patients with a high quality service. The department of neurosurgery aims to provide the best neurosurgical service possible, based on a scientific and technological approach. Considering this objective, the department was looking for an opportunity to replace the old HD recording system and upgrade to 4K. Lars Poulsgaard, chief physician and surgeon at the Rigshospitalet’s department of neurosurgery asked the long-lasting hospital partner MEDIQ for support. “If the customer is convinced, we as the partners are convinced even more!" Together they researched and tested a number of systems around the world but none of the recorders and cameras fully met the requirements and demands of the department. 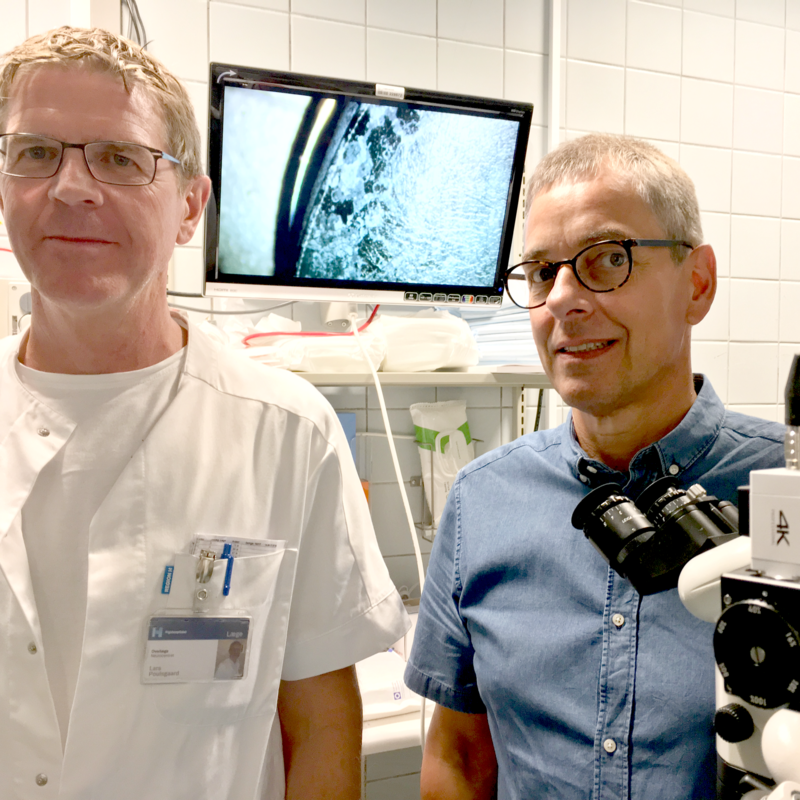 As Claus Voss, MEDIQ Product Specialist Microscopy, said, "The neurosurgery of the Rigshospitalet hospital is organised in a very professional and efficient way. The expectations with regards to reliable, state-of-the-art technology are accordingly high". At European Society of Cataract and Refractive Surgeons Congress in Copenhagen 2016 microscopy product specialist Claus Voss visited the Panasonic Industrial Medical Vision (IMV) booth and was introduced to the 4K MedXChange Recording System and the Panasonic 4K micro camera GP-UH532. Congress' visitors had the opportunity to see a comparison of the image from the 4K GP-UH532 and Full HD resolution, both attached to a microscope. Having visited Panasonic booth, Claus Voss called Lars Poulsgaard’s attention to the 4K recorder and the Panasonic IMV 4K micro camera GP-UH532. Shortly after, the hospital agreed to conduct a product demonstration and trial on-site. "During the installation and implementation phase, Panasonic Industrial Medical Vision provided great support - it's not a given!" Finally, the trial took place in December 2016 during a real surgery. Since this trial was of high importance, Panasonic Industrial Medical Vision European Category Owner Jens Wohlerdt as well as the Product Manager Mon-Han Lin visited the Rigshospitalet to ensure the smooth operation of the 4K Ultra HD micro camera GP-UH532 on-site. As Claus Voss described the trial, "During the test phase, our customer was immediately satisfied by the outcomes of the 4K recorder and Panasonic 4K micro camera. If the customer is convinced, we as the partners are convinced even more!". Furthermore, Lars Poulsgaard said, "I expect to see much improvement in the picture quality, especially for the red colour". The trial was successful and MEDIQ implemented the new system. 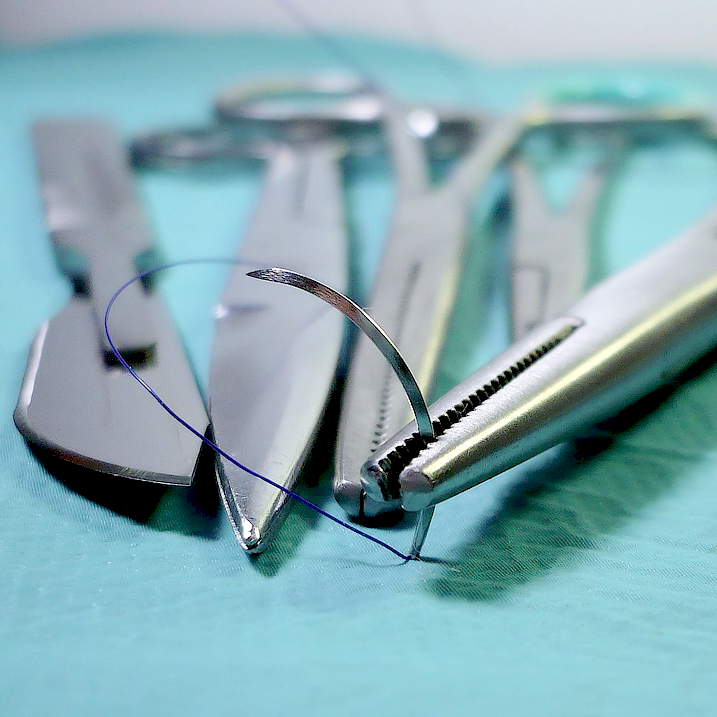 During the implementation phase, the surgeon and the partner experienced again the extensive support of the Panasonic Industrial Medical Vision team. Claus Voss commented that, "During the installation and implementation phase, Panasonic Industrial Medical Vision provided great support - it's not a given!". "I am looking forward to using the new camera", commented Lars Poulsgaard. As Claus Voss explained, the 4K resolution was the key to the decision to select new Panasonic camera system GP-UH532 alongside of the 4K MedXChange Recording System. Moreover, being the smallest 4K camera head on the market with a 1/3 inch image sensor, the size of GP-UH532 camera head made it adaptable for a variety of applications. The ability of the camera to provide both HD and 4K resolution was also a beneficial feature. "I expect to see much improvement in the picture quality, especially for the red colour." So was mounting, which made for a straightforward integration with the existing workflow in the operating. Another advantage was that the camera is equipped with 4K/2K simultaneous dual channel output and HDMI and HD-SDI outputs. Moreover, the GP-UH532 4K Micro Camera system allowed colour enhancement options as well as the possibility to store up to six personal settings profiles via USB. Crucially, the product meets Medical Electrical Standards IEC60601. After integration, the 4K Panasonic micro camera has been successfully utilised within the neuro-departments daily routine at Rigshospitalet.